A beautiful love filled picture to make this friday a love filled one. 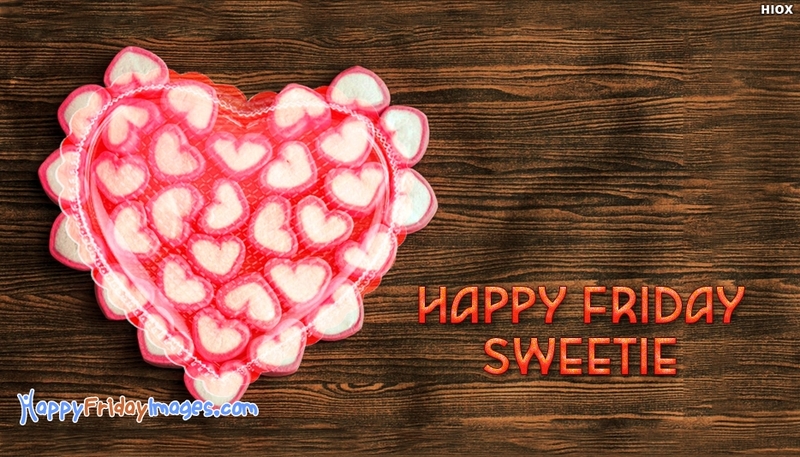 The picture holds the image of an heartine filled with hearts and the loving happy friday message "Happy Friday Sweetie". Share this picture with your dear love and create happy moments. By sending this picture say to your love that your heart is just filled with his/her face just as shown in this picture.